Dalton is quickly becoming the epicenter for arts and culture for Northwest Georgia! In Downtown Dalton, you can visit the Creative Arts Guild, Georgia's oldest multidisciplinary community arts center; Dalton Little Theatre, Georgia's oldest continually operating theatre troupe; and tons of public art including dozens of sculptures, murals, and Downtown Dalton's own Peacocks on Parade! 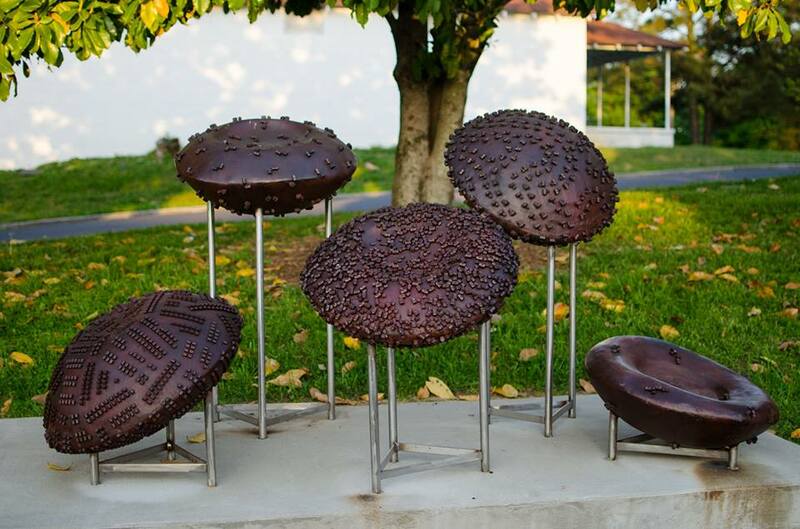 This public art project was spearheaded by the Downtown Dalton Development Authority. It honors the textile heritage of ‘Peacock Alley’, the nickname given to Highway 41 at the height of chenille bedspread popularity. Catherine Evans Whitener created the chenille process that lead to the invention of modern tufted carpet and Dalton’s position as Carpet Capital of the World. The most recognizable patterns on the bedspreads were peacocks that decorated the exterior of the Highway 41 chenille shops. From the Guild's website: "The Creative Arts Guild is the oldest multi-disciplinary community arts center in the state of Georgia. Founded in 1963 by a group of civic leaders, the Creative Arts Guild began as a community grass-roots movement originally housed in the Old Firehouse on Pentz Street. The Guild began offering art, music, dance and theatre classes as well as gallery shows and exhibitions. As programming and class attendance grew, plans for a larger facility were developed. In 1981, the Guild moved to its permanent home at 520 West Waugh Street. The vision of that small group of patrons has grown into an organization that now houses four educational departments as well as our Arts in Education outreach programs, events, gallery exhibits, music and dance concerts and recitals and acts as a hub of culture for North West Georgia and South East Tennessee." For more information about the Creative Arts Guild, visit their website. Dalton Little Theatre, or DLT, held its first documented performance in 1869. The organization began as The Dalton Amateurs, and continued as The Sophoclean Dramatic Club, and The Dalton Players, before becoming Dalton Little Theatre in 1955. The theatre has performed continuously except for breaks during WWI and WWII. The organization formally incorporated in 1958, and found its first home in 1981 when it converted the former firehouse built in 1888 into The Firehouse Theatre. The Firehouse Theatre is often referred to as The Old Dalton Firehouse and it remains the home of Dalton Little Theatre to this day. To learn more about how to become involved at DLT as a patron, actor, volunteer, or director, visit their website. According to their website, the 1000 Words Dalton Public Art Project is "A new initiative to promote and accelerate the growth of public art in Dalton. The initiative will partner local artists with the funding, location and community volunteers to create murals and sculpture around town. We want to give Dalton a voice through public art, accelerate beautification, instill pride in our community & inspire the next generation." 1000 Words has been instrumental in bringing multiple murals and sculptures to the Downtown Dalton district, including the Dalton State Roadrunners mural on the Affordable Sales building on Hamilton St., the "Before I Die" wall on Bucket List Antiques & Collectibles, and the "An Earth Worth Saving" mural on the side of the Mapco on Waugh St., among others. They have also recently started beautifying a downtown parking garage (which is now called the Downtown Dalton Art Park) by procuring artists to decorate the columns supporting the structure. 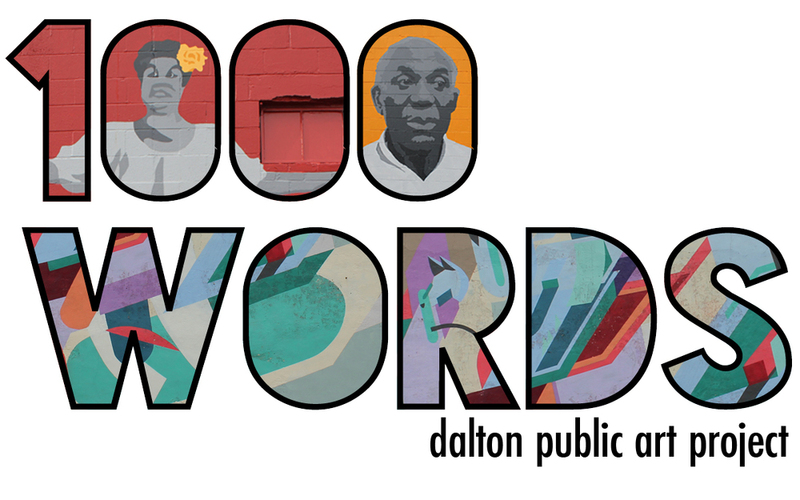 To learn more about the 1000 Words Dalton Public Art Project, visit their website. In 2014, David and Pauline Aft opened Dave & Pauli's Art Emporium, a space they describe as "an artist's studio and creative space with a fantastic art gallery attached to it." The 2800 square foot building acts as a working artist’s studio and art gallery specializing in creative works by local and regional artists. The main gallery hosts special events and showings throughout the year. To learn more about Dave & Pauli's Art Emporium, visit their website. Local resident and supporter of the arts, Jeanne Burr, has donated $1 million to the Community Foundation of Northwest Georgia to support the arts in Dalton by helping to provide a performance venue on the former Lee Printing site on Hamilton Street in Downtown Dalton. In return, the city was asked to designate the space as a permanent park. Burr's donation will provide $300,000 for physical improvements at the site, including the construction of a "first class" performing stage and associated facilities. It also provides for a $500,000 endowment that will distribute some $25,000 a year to support events and performances at the facility. The remaining $200,000 will be held for additional support. The Downtown Dalton Development Authority will manage the facility, and the city will be responsible for maintaining the property.